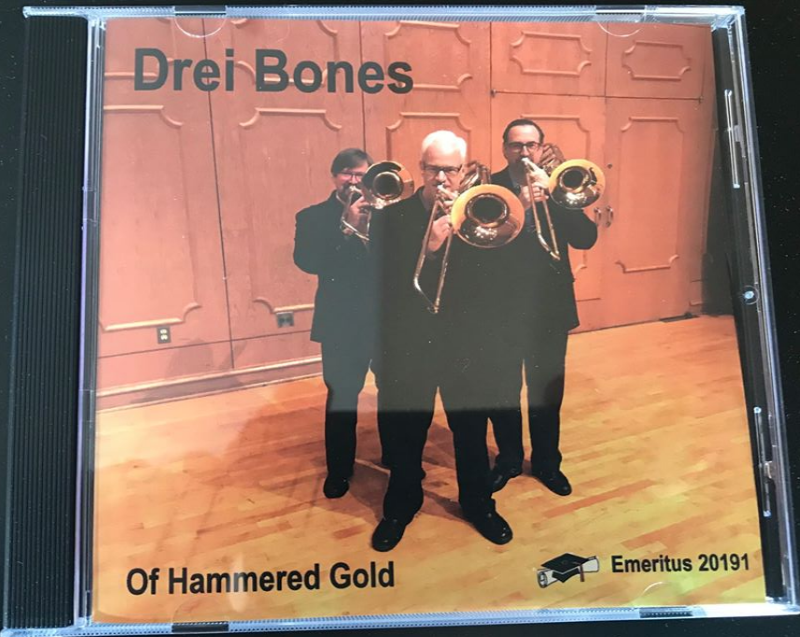 ​A new 2019 CD, Of Hammered Gold, by the trombone trio, Drei Bones, is now available and includes my composition, ReSounding Music, commissioned by the ensemble, as well other new commissioned works by James Moberley, John Cheatham, Marc Lys, Thomas Davis, and PJ Kelly. Ensemble members include Dr. Michael Davidson (University of Kansas) and Dr. Timothy Howe (University of Missouri) on tenor trombones and NSU professor Dr. J. Mark Thompson on bass trombone. 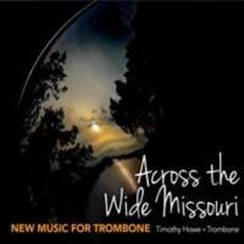 Across the Wide Missouri, New Music for Trombone, features works commissioned by trombonist Timothy Howe for himself and an ensemble of fellow applied faculty members at the University of Missouri School of Music in Columbia, Missouri. The recording includes my composition, There is a Threeness About You, for trombone, flute, english horn, alto saxophone and bassoon, premiered by Timothy Howe and MU coleagues in July, 2013 at the Mizzou International Composers' Festival. The score and parts for this piece are available for purchase on this web site in the Chamber Music category. 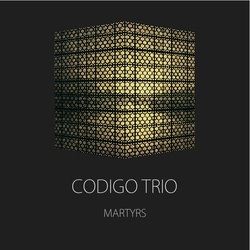 A new CD by the Netherlands based Codigo Trio (Janneke Schaareman, mezzo soprano, Jose Luis Sogorb Jover, French horn, and Celia García García, piano) was released on June 11, 2012. This recording includes a very beautiful performance, by Janneke and Jose, of my Two Songs for Mezzo Soprano and Horn, with texts by John Donne. When you buy this CD you are donating 2€ to Musicians Without Borders, which is an international network organization that uses the power of music to connect communities, bridge divides and heal the wounds of war and conflict. 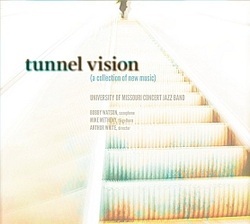 A new CD, Tunnel Vision, by the University of Missouri Concert Jazz Band, Arthur White, director, has been released in September, 2011. 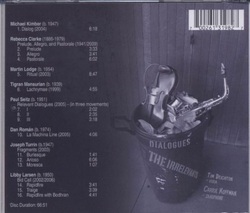 This recording includes my 2011 composition, Six of One..., composed for the ensemble, among the eleven compositions created for the CD by composers/arrangers with ties to Missouri, including saxophonist Bobby Watson (former music director for Art Blakey's Jazz Messengers), from Kansas City, trumpeter Mike Metheny, from Lee's Summit, Missouri, Arthur White, and several gifted University of Missouri student composers. Available at Cdbaby, iTunes (search on "Missouri Concert Jazz" "Tunnel Vision"), and Amazon. Here's an excerpt from the review in Jazz Ambassadors Magazine: “Six of One…” is a beautiful cacophony of melodies and counterlines that converge to create an intricate musical tapestry over a tight rhythm section. Using a twelve-tone technique, the minor chord progression seems to constantly shift centers, creating melodic tension and release throughout." 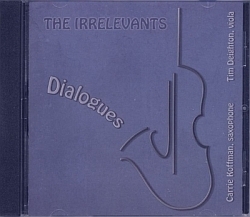 A new CD, Dialogues, by The Irrelevants, the duo of saxophonist Carrie Koffman and violist Tim Deighton, features my composition Relevant Dialogues, composed for the duo, along with compositions by Libby Larsen, Dan Román, Martin Lodge, Joseph Turrin, Tigran Mansurian, Michael Kimber and Rebecca Clarke. This album is now available as CD or downloads on Cdbaby, iTunes, and Amazon. I have very much enjoyed collaborating on several projects with Dutch bass clarinet virtuoso and composer Henri Bok, as soloist and with saxophonist Ann Evans in their ensemble, Duo Hevans. Henri has been expanding the possibilities of the bass clarinet as performer composer and collaborator with many composers around the world for decades, and a recent two day live concert event at the Theatre Lanteren/Venster in Rotterdam included many examples of those innovations and collaborations as Henri performed music he had composed and commissioned, as soloist and with many colleagues. Three of my compositions were included: Three Stories for alto saxophone and bass clarinet), the world premiere of In Now for solo bass clarinet and a brand new work, In a place of deep color, for tenor saxophone and bass clarinet. 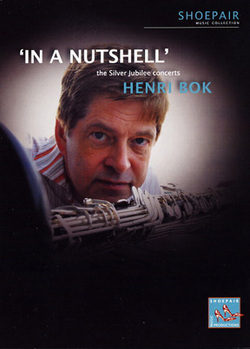 The latter two pieces are included on the live concert DVD "In a Nutshell," by Shoepair Productions (Netherlands). To order your copy of this DVD, visit: Shoepair Productions. 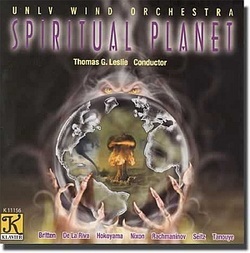 Selamiut: The Sky Dwellers, commissioned by the University of Nevada, Las Vegas, Wind Orchestra, Thomas G. Leslie, director, was premiered by the ensemble and recorded by the UNLV Wind Orchestra for their CD, "Spiritual Planet," on the Klavier label. Here's a link order the CD from Klavier Recordings, or order on iTunes and Amazon. This CD is included in the NAXOS Music Library Catalogue. Performance materials for Selamiut: The Sky Dwellers is available in the PSMP catalog on this website.